Do you have a little Angel in your house? If so, this Newborn Angel Costume is exactly what you need. Have twins? 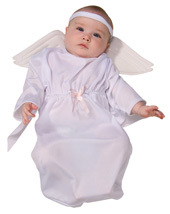 Then pair this Angel Costume with the Little Devil Costume to show their different personalities.